ADL says it will vote for far-left group to join influential conference for 'integrity' of advocacy; WZO slams pro-Hamas deal statements. A secret vote on whether J Street, a far-left American Jewish lobbying group, will join the Conference of Presidents of Major American Jewish Organizations is set to be held on Wednesday afternoon in New York. Abraham Foxman, director of the Anti-Defamation League (ADL), on Tuesday indicated his support for the group. 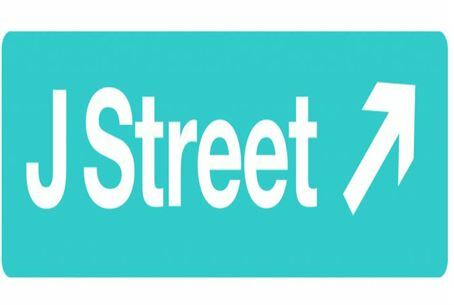 “We will support the admission of J Street not because we agree with them, not because we support their views, but in order to ensure the integrity and credibility of American Jewish advocacy and of the Conference of Presidents," remarked Foxman. In addition to the ADL, the Jewish Council for Public Affairs, the Union for Reform Judaism, and the Conservative movement's Rabbinical Assembly have also made their support known. The Jewish Federations of North America are also considered likely to vote in favor. J Street claims it has reached the required amount of backing for entering the conference; the leftist group needs the support of 66% of the current member groups in order to be included, meaning 34 of the 51 members. It is thought that the public declarations of support ahead of the secret vote are meant to influence the results. Despite the calls of support, many are opposed to J Street's inclusion in the Conference of Presidents. The Zionist Organization of America (ZOA) last week condemned J Street after it said Israel must negotiate with Hamas, calling on the US to push Israel even harder to negotiate with the Palestinian Authority (PA) amid the PA unity deal with the terrorist group. ZOA added that it was "shocking" that the statement of support for negotiating with Hamas came a week before the Conference of Presidents vote. J Street announced another controversial policy stance in March, when it backed the PA refusal to recognize Israel as the Jewish state. Alarm over the prominence of anti-Israel extremists in the group also resurfaced in late March when two J Street activists wore T-shirts glorifying an infamous PFLP (Popular Front for the Liberation of Palestine) terrorist to a screening of anti-Israel film “Five Broken Cameras” in April 2013 at Washington University. The Conference of President's stated mission is "consensus policy, collective action, and maximizing the resources of the American Jewish community," in particular "when events in the US, Israel and elsewhere affect the American Jewish community."